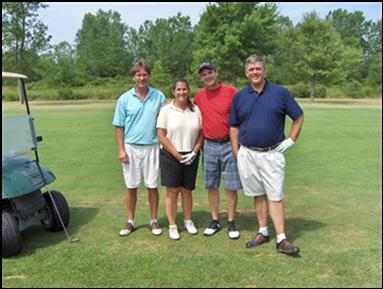 Niagara USA Chamber | 2011 Niagara Golf Classic a Success! 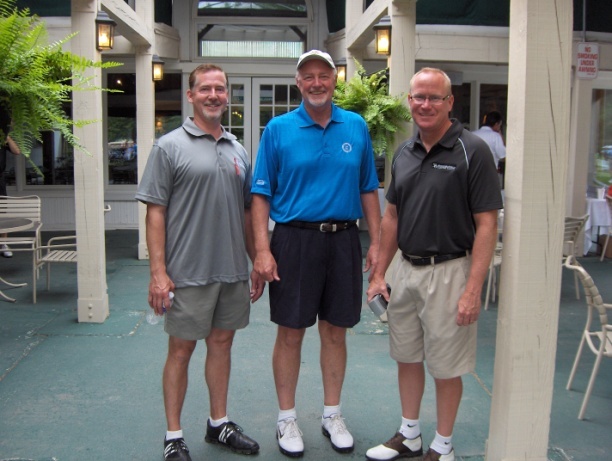 2011 Niagara Golf Classic a Success! 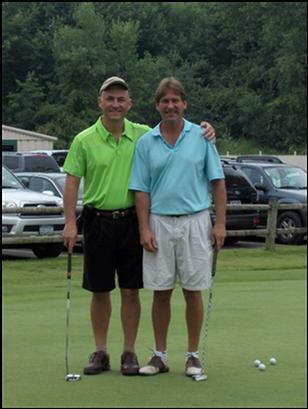 The 2011 Niagara USA Chamber Golf Classic at Tan Tara Golf Club was a great success. We would like to thank all of our generous sponsors, particularly Niacet Corporation, who steps forward year after year as the title sponsor of the event. 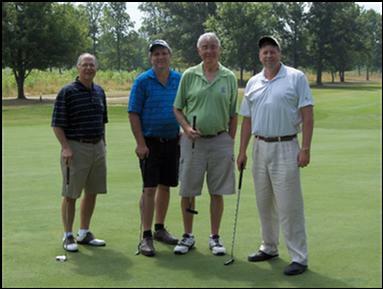 Featured in the photo to the left is the Niacet Corporation foursome which includes Paul Kolkmeyer, Jim Benoit, John Benoit and Kelly Brannen. Although a bit warm, we avoided rain once again! Congratulations to the winners! Representing Niagara Falls Coach Lines, from the left are Stan Tubinis, Raeanne Argy-Tyler, Duncan Tyler, and Mike Dowd. Below are a couple of photos that were taken at the event. In response to those who asked if “Best Looking”, “Best Dressed” and “Best Pose” would be awarded…all we can say is MAYBE next year! Thank you for coming!